Former Manchester United captain Bryan Robson has advised Jose Mourinho to go with more stability in order to improve things on the pitch. 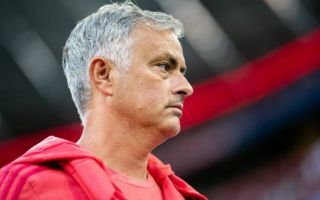 The Red Devils have made a poor start to the season, losing two of their opening four matches in the Premier League, leading to speculation over Mourinho’s future at the club. It may be that the Portuguese tactician is safe for the time being after things picked up with a 2-0 win at Burnley last weekend, but nevertheless, the club seems unlikely to improve much on last season’s disappointments. United finished a distant 2nd in the Premier League, barely challenging Manchester City for the title, and also lost the FA Cup final to Chelsea, ending the campaign trophyless. Mourinho has made several changes to his personnel and formation already this season, and Robson believes it’s vital for the 55-year-old to stick with something that works and get a settled side together. ‘At the moment it’s about getting a settled team and not having so many changes, just so the lads can develop an understanding and get a few good results under their belts,’ Robson told the Daily Mirror.